How to choose a coffee? 1 Where to buy coffee? 2 How to recognize a quality coffee? 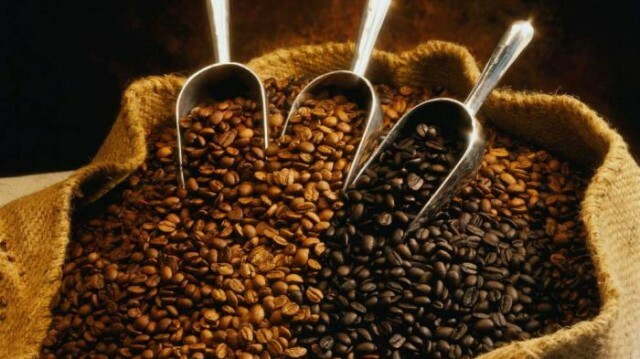 coffee market is vast, Coffee is offered in very different taste, different species and varieties. How not to get lost among this diversity and find a really quality product? Pay attention to our advice. It is safest to buy coffee is not on the market, and branded specialty stores, even if there is the price slightly higher, selecting with the production of known world manufacturers. In the markets of low-grade coffee is sold mostly, and under the brand name well-known company, you can buy a fake. Among other things,, there is often not complied with the storage rules, that can not affect the taste and flavor of the finished beverage. If you have no experience in the selection of a certain type, you can try to buy a small amount of several species and varieties of coffee from different companies, then selecting the most approached to taste. Often in retail stores hold special days for samples of coffee as if other varieties, find out about this opportunity. Pay attention to the fact, in the company store coffee is stored - whether in banks closed, whether indoors foreign odors, high humidity? Remember, that coffee is very hygroscopic and absorbs moisture and odors, losing quality. How to recognize a quality coffee? As the saying goes, good coffee is not cheap. You can try to find their way on this principle. But here it should be noted, which is not always a high price - a pledge of quality. Pay attention to the mark, ask seller, from any country of delivery, study with the help of online reviews about a particular grade of coffee and its features. Before the purchase, Read the packaging carefully, Check the date of manufacture. Do not buy coffee with overdue date, there will be no aroma and taste. Packaging for roasted coffee choose the best vacuum, with valve. On the packaging is usually indicated, and information about the country and even the coffee growing area, as well as the degree of roasting and grinding of the variety, that will help make the right choice. Good coffee will never be packaged in plastic, but only in a glass container or tin, or in a vacuum sealed package. Check the integrity of the package for damage. Very carefully read the name of the variety on the packaging, often unscrupulous manufacturers of counterfeit name brands, replacing him some letters, and selling overpriced low-grade coffee. Coffee is often counterfeited, adding thereto various impurities, or selling an old coffee, outdated. How to recognize it? impurities can be determined, if you put a pinch of ground coffee beans or a little at a white sheet of paper. Visually, you can define, how homogenous grade by the presence therein of particles of a different color or structure. Specialists also placed spoon or grain ground coffee glass with cold clean water, coffee will remain on the surface, and impurity soon settle, stick together, water will color. Green coffee, raw good quality smells nice and fresh. The grains have a pleasant greenish or yellowish color, pressure-sensitive smell good greens. If the grain to crack, it lightly tingling tongue. Not acceptable grain grayish, white or black shade. Freshly roasted coffee has a bright flavor, if he lost his, but still within the shelf life, then the grinding, he again manifested. If the old grain, coffee will smell rancid and sour, especially after meals. learn freshness roast coffee beans, as follows: freshly ground coffee beans with boiling water needed to brew, took 2 st.l. 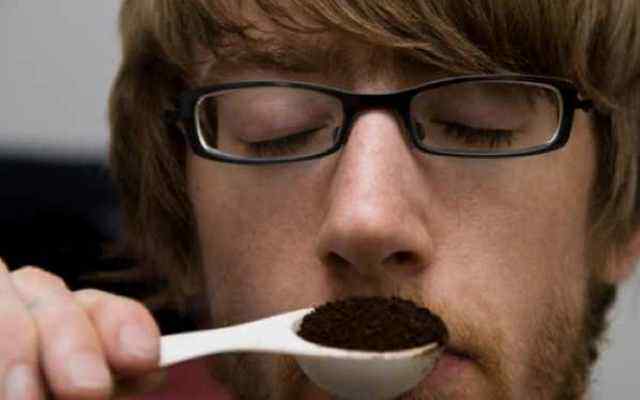 a small cup, wait 2-3 minutes and, if the smell is felt sour, the old coffee. If you omit the coffee in silver spoon, and on it the foam settles, It means fresh coffee. Stale coffee grounds, which incorrectly stored, It has a lumpy appearance, it does not have a fragrant odor. What types of coffee are? Why can not you drink coffee? How to cook a delicious coffee? What is the name of coffee with ice-cream?